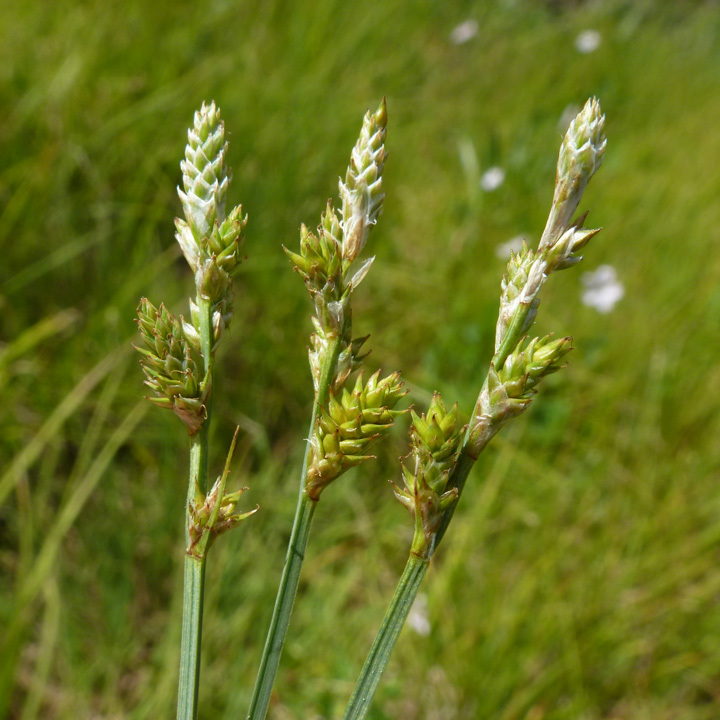 Carex canescens. edited from: commons.wikimedia.org_Fotor (Accessed 12/2017). Carex canescens perennial, tufted, about 40 cm, somewhat gray-green. Leaves alternate, blades about 0.3 cm wide, basal, usually shorter than inflorescence; bracts very small, linear, if any. 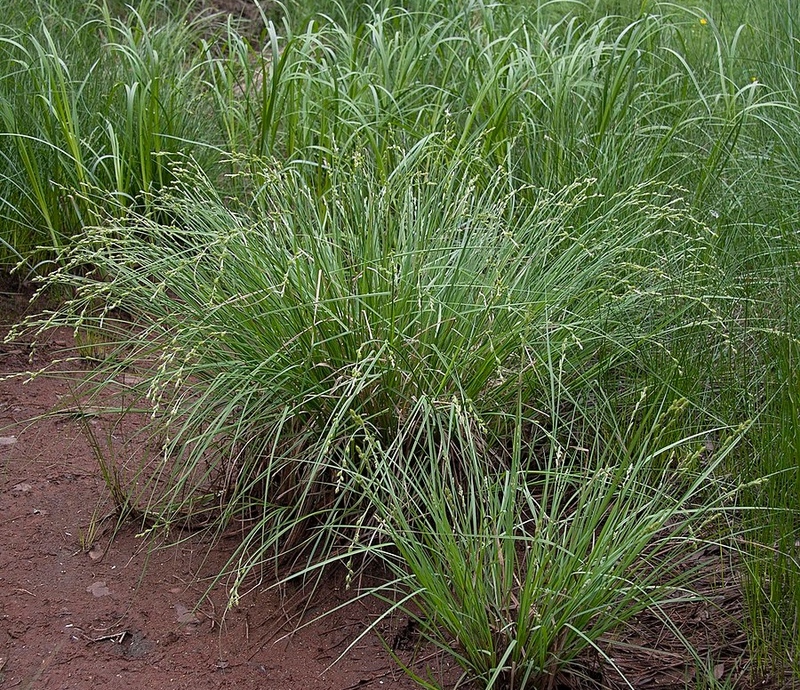 Carex canescens.Max Licher.SEINet.Southwest Environmental Information Network.swbiodiversity.org (Accessed 4/2014). Flower spikes grayish to pale brownish-green, 4-8, 0.5-1.0 cm, stalkless, the lower ones further apart than the upper, male flowers at base of spikes, female flowers (perigynia) 15-30 per spike, lens-shaped, about 0.2 cm long, 0.1 cm wide, veins conspicuous, beak very small, scales shorter than perigynia, achene lens-shaped; blooms and fruits May-June. Habitat: Swamps and pond edges, open areas or swamp forests, soil pH 5.1-7.2, tolerant of anaerobic soil and fire, moderately tolerant of shde, intolerant of drought and salt (USDA, NRCS 2010).